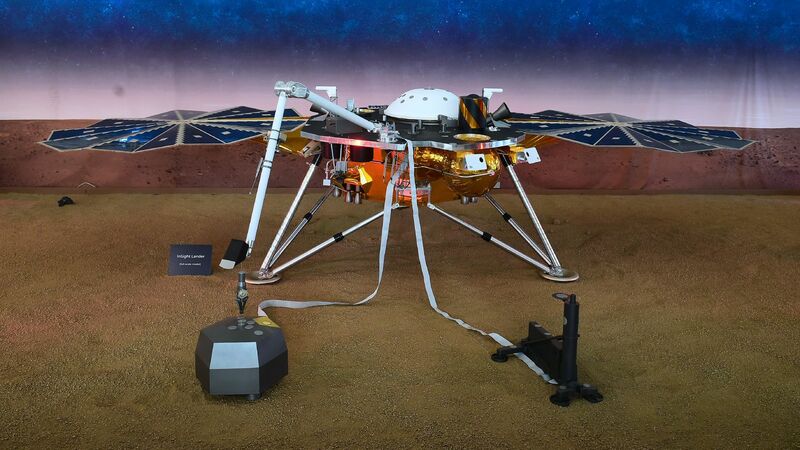 After NASA’s InSight lander touched down smoothly on Mars last month, it extended both of its seven-foot-long solar panels, which it will use to collect energy and recharge its two lithium batteries. Why it matters: On the first day of its mission, the lander generated 4,588 watt hours of energy. This set a new record for daily energy production among vehicles that have roamed Mars in the past, topping the Curiosity rover, at 2,806 watt hours daily, and the Phoenix lander, at 1,800. Background: For reference, common U.S. clothing dryers use 2,500–4,000 watt hours per load of laundry. The 4,588 watt hours InSight's panels generate are more than enough to recharge the batteries and provide power during Mars' frequent dark periods and dust storms. Because Mars is farther away from the sun than Earth, the rays that reach InSight's solar panels will be less intense. It's expected that the panels will provide 600–700 watts of power on a clear day — about what's required to run a household blender — to be used for the lander's instruments. The same panels would produce about 1,300 watts if used on Earth. What’s next: The lander has been busy taking selfies and sending photos back to Earth. In the next few months, scientists will examine the photos to begin selecting sites to deploy the on-board instruments, which include a robotic arm to deploy seismographic sensors and a subsurface temperature probe. The studies hope to provide new insights by studying the surface and the deep interior of the planet.